Commercial and residential building surveys, schedules of conditions and architectural design (2D, CAD and 3D Visualisation) and project management services, for both residential and commercial sectors. M.Brebner Architectural Design and Building Surveyors was established in 2002 by Michael Brebner as a Chartered Building Consultancy, regulated by the Chartered Institute of Building’s code of professional conduct for Chartered Building Consultancies. We strive to bring excellence to everything we do, from pre-purchased commercial and residential building surveys, schedules of conditions and architectural design (2D, CAD and 3D Visualisation) and project management services, for both residential and commercial sectors. We offer a range of building related legal services, such as dealing with matters under the Party Wall Etc. Act 1996, establishing boundaries (boundary disputes) and act as Expert Witnesses for building related claims. We pride ourselves on giving the same high level of service to both small surveys and developments as well as the larger commercial projects and clients. M.Brebner is an award winning Architectural Designer, who also was the first winner of the C.I.O.B’s Davis Scott Memorial Trophy for project management. He personally undertakes the majority of the pre-purchase commercial and residential building surveys himself, is the lead CAD designer and project manager for the firms various projects. Is the firm’s principal On Construction Energy Assessor for new build residential projects and lead advisor for PartL on commercial premises (New and existing). Believes in investing in people and is an equal opportunities employer. Has built up a core of experienced associates from Structural Engineers to Graphic Designers to optimise the team for any given project requirement. Founder of the Essex Property and Construction Hub. The Principal Expert Witness in the firm experienced in Alternative Dispute Resolution and Mediation on Building related Disputes. The principal Party Wall Surveyor at the firm , dealing with Party Wall matters within the meanings of the Party Wall Etc. Act. 1996. 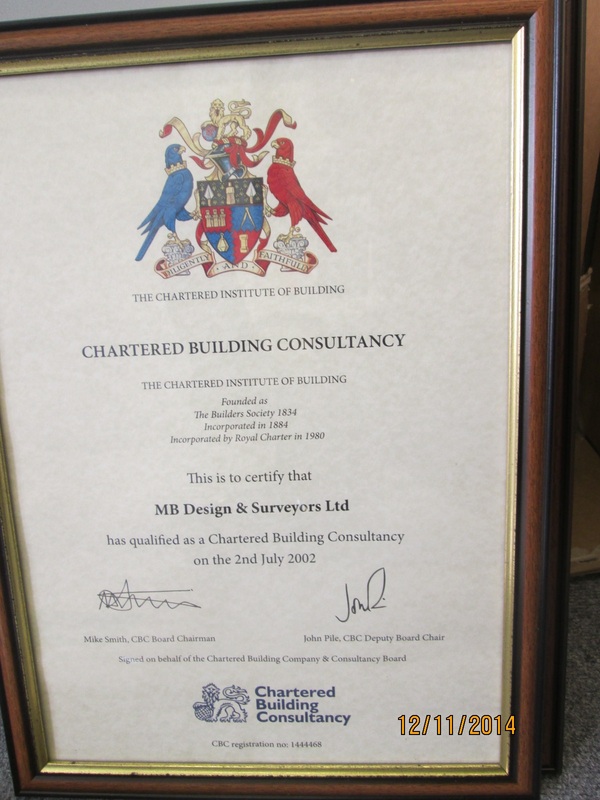 Michael Brebner MCIOB is a Chartered Construction Manager as designated by the CIOB. M Brebner Architectural Design & Building Surveyors is a trading name of MB Design & Surveyors Ltd.